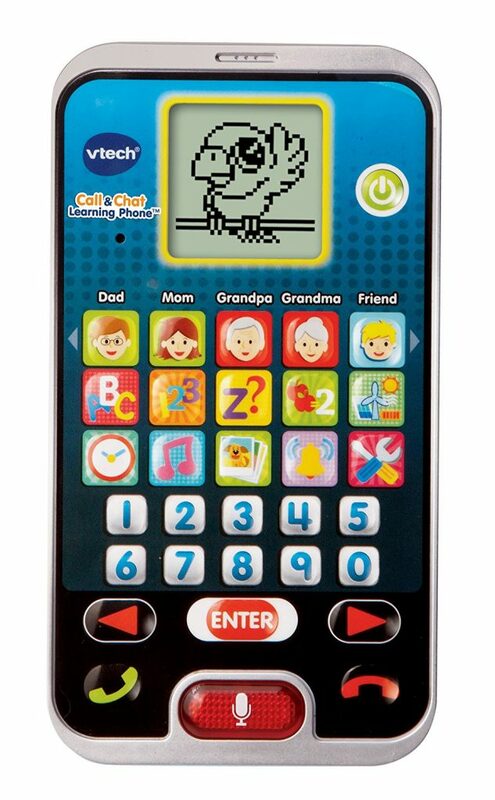 It’s a Kids Call and Chat Learning Smart Phone, and it’s an Amazon #1 best seller! Your child’s first smart phone. Features 15 App buttons plus a special Chat button and a fun, chatty Parrot character who guides you through the activities and games. Among the App buttons, select from one of five different contacts to call (Mom, Dad, Grandma, Grandpa, Friend) and engage in pretend phone fun. You can even input and save their real phone numbers. Select the Chat button and use real voice activation technology to engage in an interactive chat with the Parrot. He’ll ask you questions and respond to your voice inputs. Other Apps teach letters, numbers, and counting. There is also a Clock App for learning time concepts, a picture gallery, a music mode, and a fun game app. You can even select your own ringtone! Get this Kids Call and Chat Learning Smart Phone HERE!